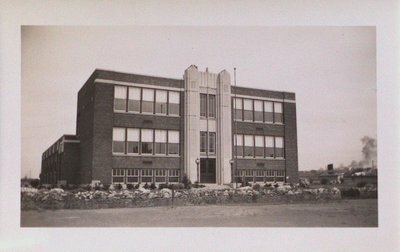 A photograph of Merritton High School, Merritton, St. Catharines, Ontario. Date Unknown. Merritton High School closed in 1999. Pinehurst Private School occupied the building for a short period of time. Royal Imperial Collegiate of Canada now occupies the building.